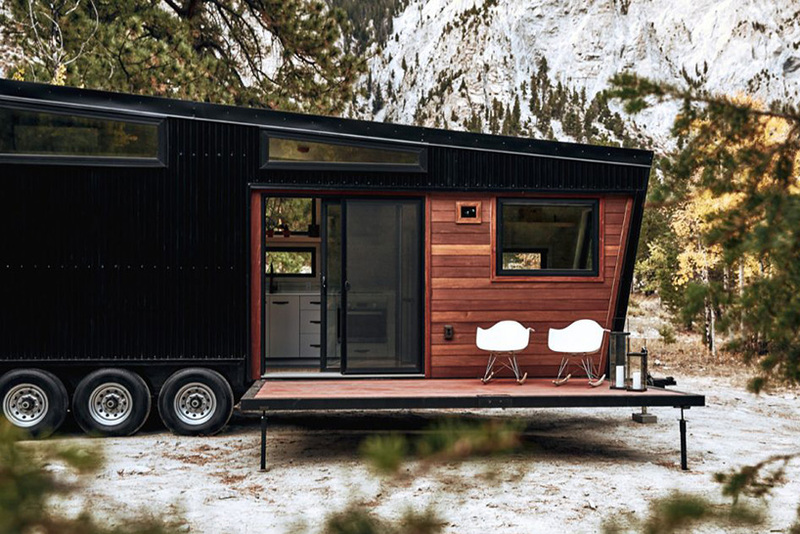 Named the ‘draper’ RV, this home on wheels is a neatly wrapped package of adventure, architecture and mad men-style cool. 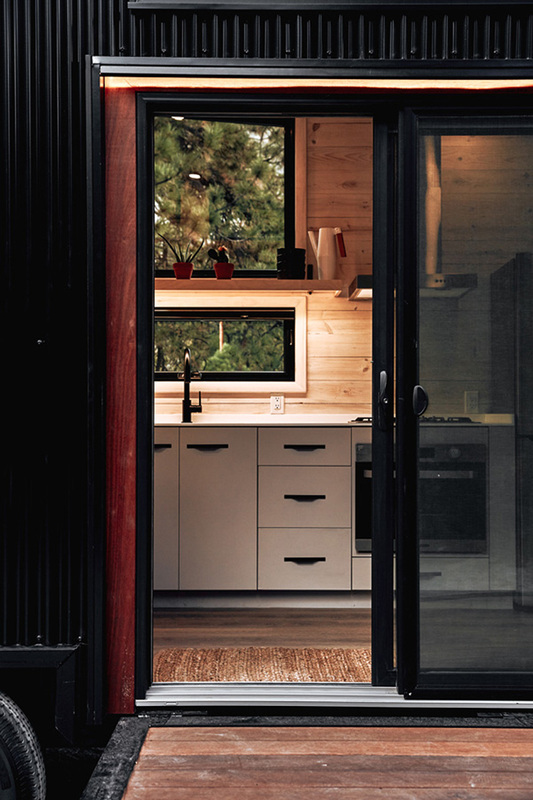 ‘draper’ is the brainchild of land ark, a brand specializing in high-end mobile homes and whose previous model, ‘drake’, was wildly popular with our readers. this mid-century modern scheme offers a functional layout in a sophisticated, tiny package. externally, the structure takes on an angular form punctuated by irregularly proportioned windows. 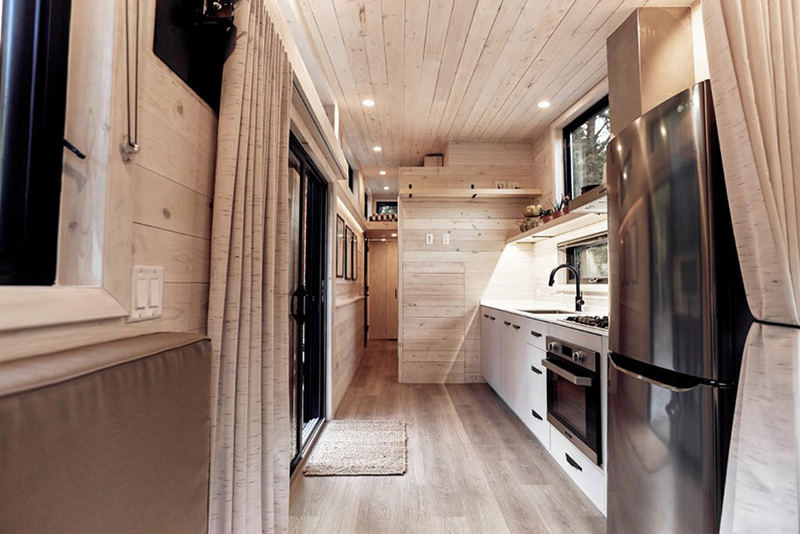 a large panel can be folded away from the RV’s façade to create a sizable outdoor patio elevated from the ground. 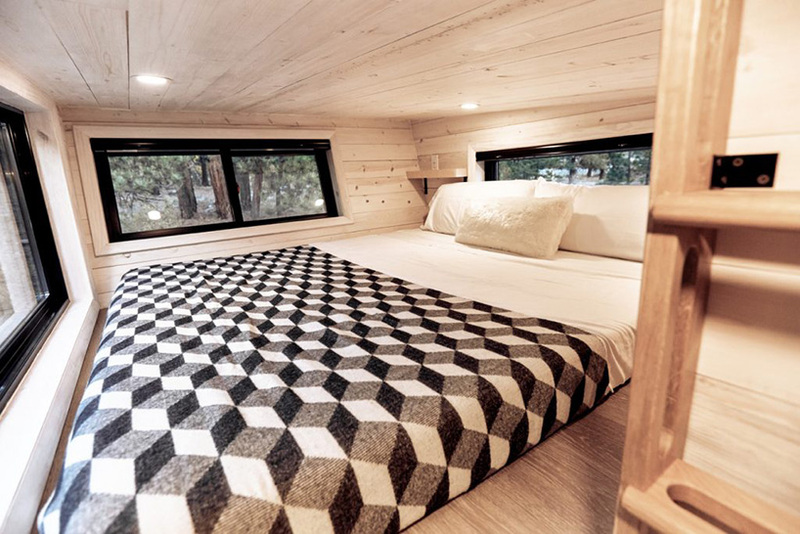 internally, land ark’s ‘draper’ is wrapped in an exquisite white-washed pine. the interior features a mud room entryway with a wardrobe, utility closet, and a nook with bench and cubbies. connecting this space to the rest of the dwelling is a gallery with recessed lighting and clerestory windows. from there, inhabitants can ascend up a custom designed oak ladder into a sleeping loft, flooded with natural light thanks to generously-proportioned windows. a compact, yet surprisingly luxurious bathroom even accommodates a full size, walk-in shower with a window from which to peek outside. the main living area opens up to a large kitchen and a convertible sofa that transforms into a queen bed for overnight guests. life extends outside through a sliding patio door that spills out onto a large hardwood deck, offering a flexible sense of indoor/outdoor living.